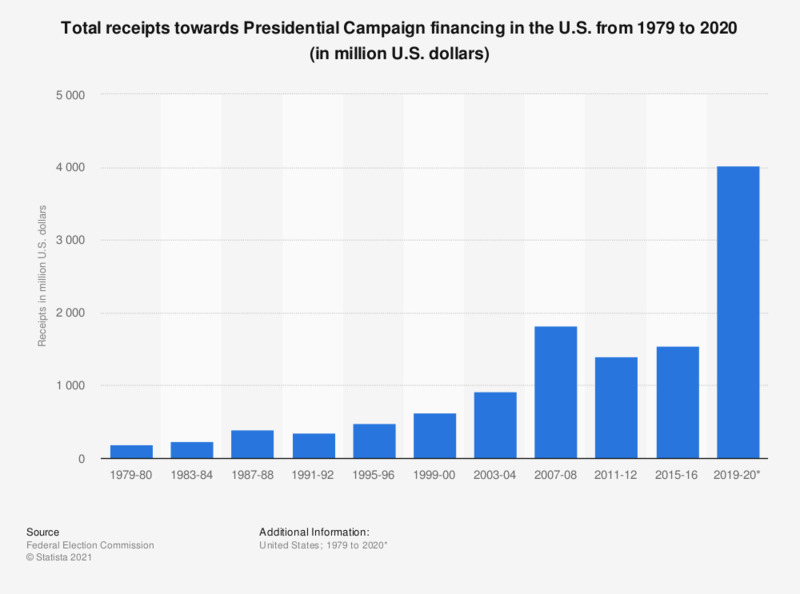 This graph shows the receipts towards Presidential Campaign financing in the U.S. from 1979 to 2012. In the 2-year election period between 2011 and 2012, around 997 million U.S. dollars were received through individual contributions. The data for the total receipts includes other types of receipts, not shown separately.